There’s nothing like slipping on warm jeans and a sweater – fresh from the dryer – on a cold winter's day. So when your dryer stops working it can wreak havoc, which means one thing: drastic measures must be taken to get it working again! Here's where you should start. 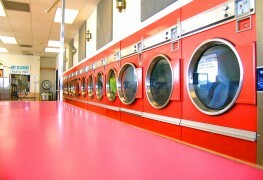 All we ask of our trusty dryers is that they dry our clothes. So when the dryer deviates from the plan and merely tosses our clothing around and around in a wet tangle, we tend to get a little frazzled. Have we been treating our dryer well enough? Paying it a good wage? Why has it gone on strike? Most likely, your dryer not heating means it needs a little attention. Thanfully you probably won’t have to get rid of it. Just check for the following common bugs to see if you can fix your clothes dryer problem. If the issue persists, consult an appliance repair specialist. Make sure your dryer isn't set to “air fluff,” which uses air at room temperature. Air set to room temperature won’t dry wet clothes as quickly as hot air does. Set the appliance to an appropriate cycle. It's also possible that the air isn't circulating properly. Make sure the dryer’s air vent is clear. 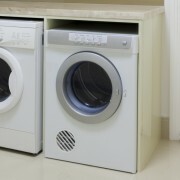 The appliance needs to have space around it to allow air to circulate properly. Make sure the filter is clean. An accumulation of lint may be stopping the air from circulating as it should, leaving you with damp clothes at the end of the cycle. Check the hot air evacuation duct. Remove the exhaust air duct and turn on the dryer. If you feel hot air coming out, then you know the air duct is to blame. If you don’t feel hot air, call a repair specialist. 3. Is the electricity working/is there enough natural gas? When a dryer isn't heating properly, a bad connection may be at fault. If one of the fuses is burnt out, it may be that the dryer is working but not producing any heat. Check that the gas inlet is open. Some appliances require a minimum quantity of gas to function properly. When your dryer isn't heating, don’t panic. Consider calling an appliance repair professional. 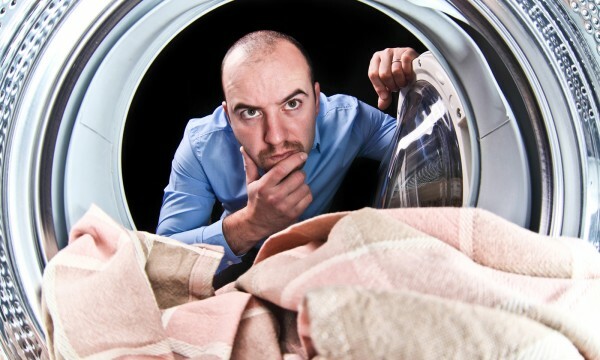 He or she may find the problem faster than it takes for your clothes to dry when piled up on top of the washer (which forces you to start all over again).